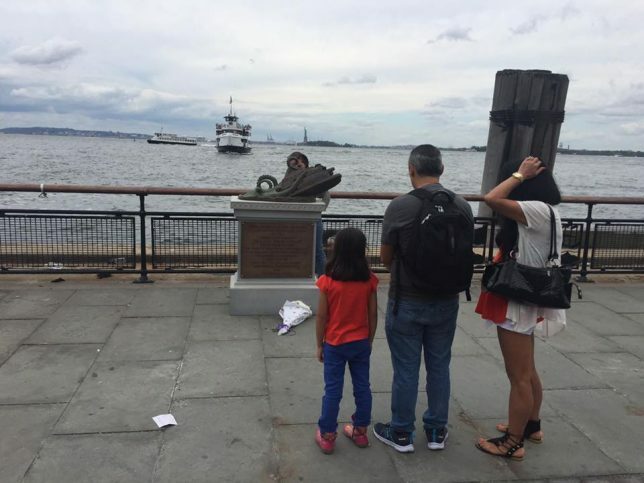 Visitors to Battery Park in Manhattan will find memorials to fallen soldiers, sunken sailors and 400 passengers who perished when a Staten Island ferry was attacked by a giant octopus. 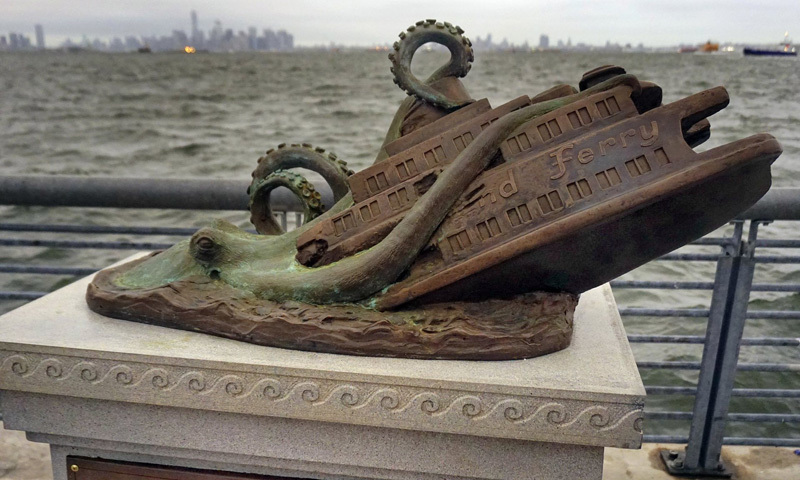 This last event, however convincing (thanks to 250-pound cast-bronze sculpture and plaque), is entirely fictional, part of surprisingly elaborate hoax. That would be hard to guess at a glance, though, given the thought and craft that went into this fake memorial and the other materials that were designed to bolster its credibility. Artist Joseph Reginella invented the scenario, crafting a website, a mock documentary, news articles and fliers to complete the deception. 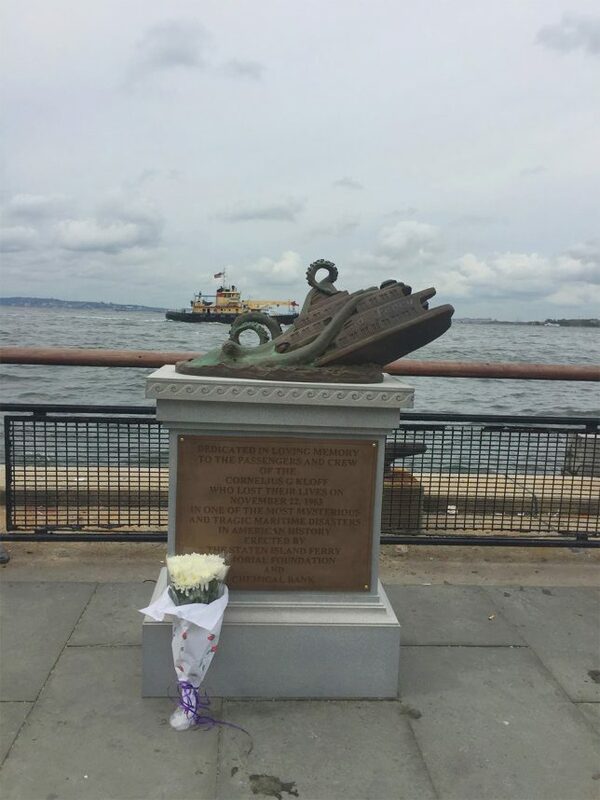 The monument even directs people to the Ferry Disaster Memorial museum. It also weaves in real-world facts, like the name of the ship. He had the idea while taking the ferry himself. When his won asked whether there were dangerous creatures waiting below, he invented the story, then spent months elaborating on the fabrication. 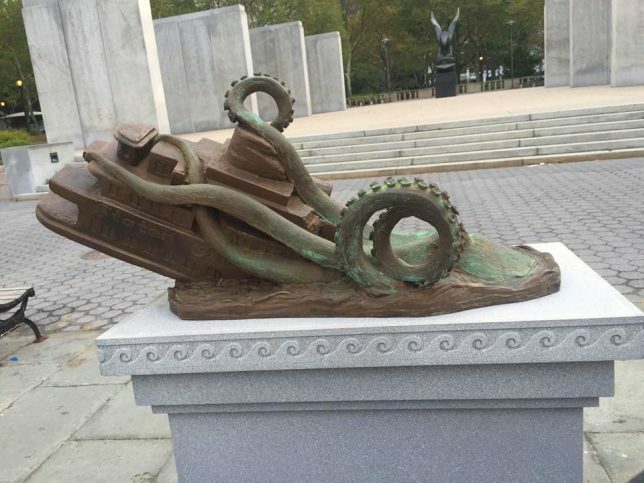 To keep the city from taking it away, he has moved the memorial from place to place. To add credibility, he made the day of the event the same as the assassination of President Kennedy, something that would plausibly overshadow such a massive historic disaster.